Synopsis: As Tanita and I have observed on multiple occasions, it's hard to write up a review of a book knowing that all you want to do is gush about it. That's how I feel having (finally) read Roller Girl, a delightful middle grade graphic novel by Victoria Jamieson. Not only was it a Newbery Honor Book, it was also a 2015 Cybils Award Winner, so I knew I had a good chance of enjoying it. Turns out I also want to hug it. Also, how much do I wish roller derby had been a thing (or, anyway, a reasonably popular thing) while I was growing up? It would've been better than hanging out at the roller rink, skating in circles, and hoping cute guys from my school would randomly talk to me. My parents would almost certainly have put the kibosh on it, though—unlike Astrid's mom, who is the one to suggest they check out a derby bout in the first place. 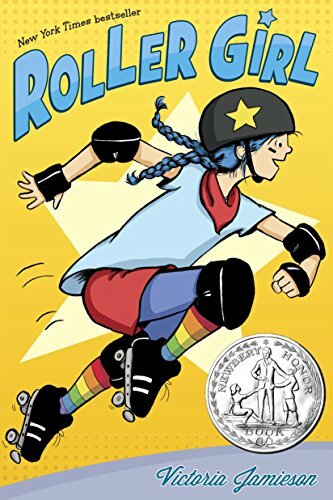 The amazing jammer Rainbow Bite (I LOVE EVERYONE'S DERBY NAMES) quickly becomes Astrid's hero, so when her mom suggests summer roller derby camp, Astrid is so there. Unfortunately, there's just one thing making it less awesome than she'd hoped—the fact that she's a total beginner and can barely skate. 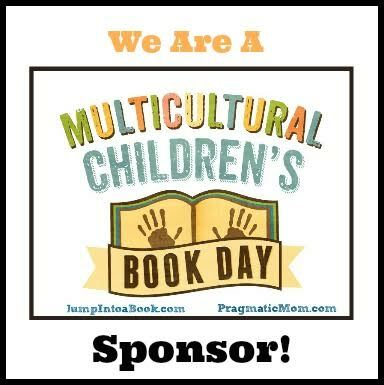 Okay, maybe two things—her best friend Nicole, instead of going to derby camp with her, wants to go to ballet camp instead…with her new friend Rachel, who Astrid can't stand. Observations: Astrid is twelve, and this book is a perfect portrayal of the changes and realizations that happen when you're twelve. Astrid is figuring out who she is, and so is Nicole, but that also involves coming to terms with the fact that you aren't exactly alike and might have different interests. Whether or not that's a deal-breaker for the entire friendship is something that has to be muddled through sometimes. Astrid's story shows the ups and downs of friendship—and of learning a new sport—with humor, heart, and pitch-perfect art. If and when I ever write and illustrate my own graphic novel, this is one I'd love to emulate and learn from. I also got a kick out of the inside look at roller derby in Portland. I have friends who have done roller derby (props to Malice Sanchez of the DC Rollergirls' Majority Whips! ), and I even have a friend who is IN OREGON (not Portland, though) who is a derby referee. Thanks to this book, though, I have a much better understanding of what is actually happening, not to mention a realization that I probably wouldn't be able to channel sufficient aggro to ever be good at it. Plus our local derby team wears way too much pink. But it sure was fun to read about. I received my copy of this book thanks to a kindly gift. You can find ROLLER GIRL by Victoria Jamieson at an online e-tailer, or at a real life, independent bookstore near you! I wouldn't have thought I'd like sports-based stories, since I was never into team sports of any kind, but I've read several manga that focus on a team struggling to make it to whatever championship, and there's so much scope for conflict and character development that I end up loving them even though I could care less about basketball (or whatever). I would say roller derby is pretty low on my list of sports I'm even remotely interested in, but I think I'm going to have to try this graphic novel.